During this Easter season you have likely seen a lot of eggs. Eggs are a wonderful ingredient to cook and bake with, but there are those who either cannot eat them due to allergies or those who simply do not like them. Maybe you are just in a pinch and do not have one on hand. Whatever the case may be, here are some substitutions you can use in place of the incredible edible egg. Pureed fruit is an excellent way to substitute for eggs in sweet baked goods. It is a good binder and provides great texture. It can also potentially make your final product denser when substituting it for eggs. However, adding an extra 1/2 teaspoon of baking powder as compensation can help to add lightness and air. Ingredients containing high amounts of starch can also act as great egg substitution in recipes. Starch is a natural binding agent. It can also add volume and lightness to your baked goods. Here are some common ones. Often eggs are used to add moisture and texture. Ingredients containing oil and oil-like substances can give you a similar result. Yogurt is also a wonderful way to add moisture and texture. 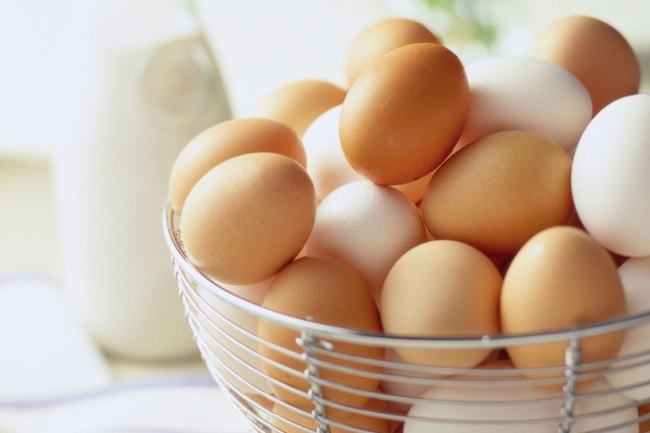 Remember: There are 6 key functions of eggs when used in cooking and baking. Eggs can act as binders, leavening agents, add moisture, give texture, create volume/lightness, or add color. It is important to look at your recipe and see what function or functions your egg is serving in that particular recipe. Use a substitute that can most closely fill in for that missing function. A lot of times the simplest remedy in excluding eggs is slightly increasing your moisture/liquids and increasing the amount of leavening agent (baking soda, baking powder, etc.) the recipe calls for. Experiment and see which substitutions work best for the recipes you use.